This NVT module can be installed in any ZC-D5000 series dome, allowing video transmission over CAT 5 twisted pair wire instead of coaxial cable. Benefits of twisted pair video transmission include lower installation cost, longer cable runs and less interference from electrical sources like flourescent lighting. 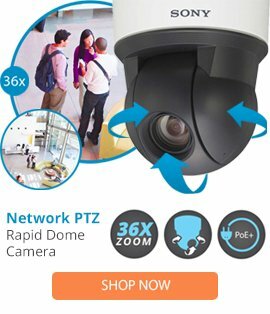 The module can be pre-installed when ordering any ZC-D5000 series dome by adding suffix "T" to the model number.